The fabulous Collectif who are one of my sponsors and who you may remember recently gave away a fab dress to one of my readers are holding a whopping 40% off sale starting today at midday to celebrate having 10,000 fans on Facebook. All you have to do is use the code TENXXX at the checkout to get the discount. 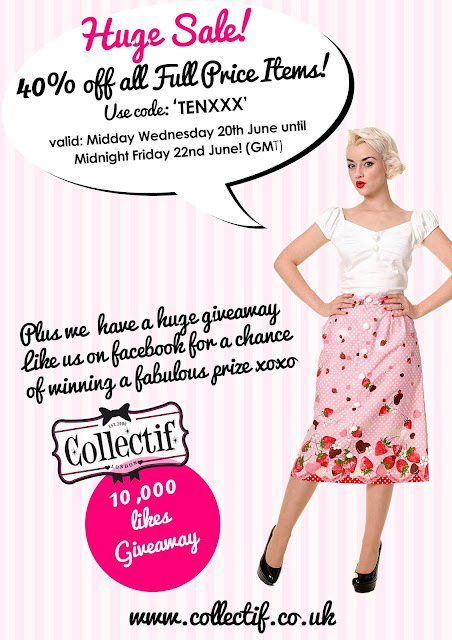 They are also giving away a silly amount of prizes as well so check out there facebook page. 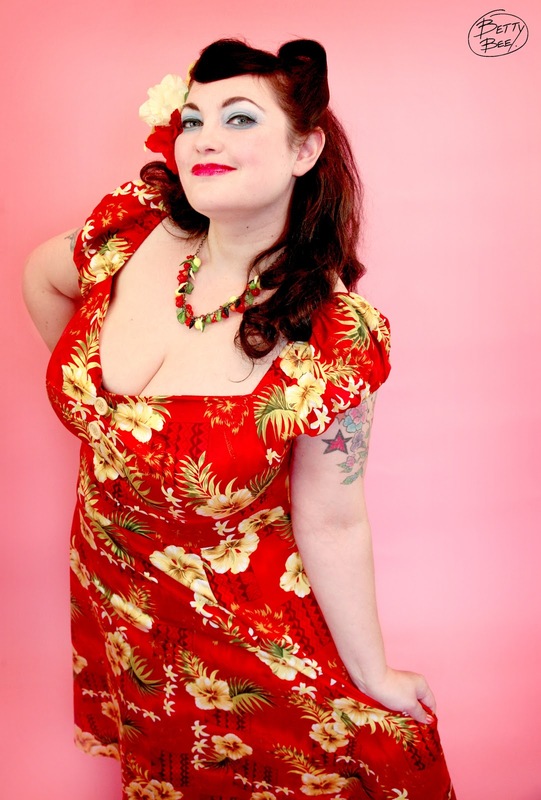 I dont need to tell you guys how much I love Collectif, fab designs, wonderful plus size range-oh dear I sense today may see me scooping up a few bargains.